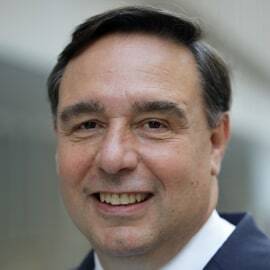 Riccardo Puliti joined the World Bank Group as Senior Director, Head of the Energy and Extractives Global Practice in November 2016. In his role, Riccardo leads a team of 400 professionals in their work developing policies and financing in the global energy and extractive industries. The Energy and Extractives practice has a portfolio of approximately USD 40 billion. Riccardo started his career at Istituto Mobiliare Italiano in 1987 before moving to Banque Indosuez and NM Rothschild where he worked in equity capital markets, always in the energy and infrastructure sectors. During his career, Riccardo has been a nominee or independent member of the board of several energy and extractive companies, including OMV Petrom (where he chaired its Risk and Audit Committee), Interrao OJSC, Irkutsk Oil and Iberdrola Poland. He holds an MBA from Instituto Superior de Estudios de la Empresa (IESE) and postgraduate studies at the Kennedy School of Government (Harvard University) and Imperial College. Riccardo is fluent in five European languages.